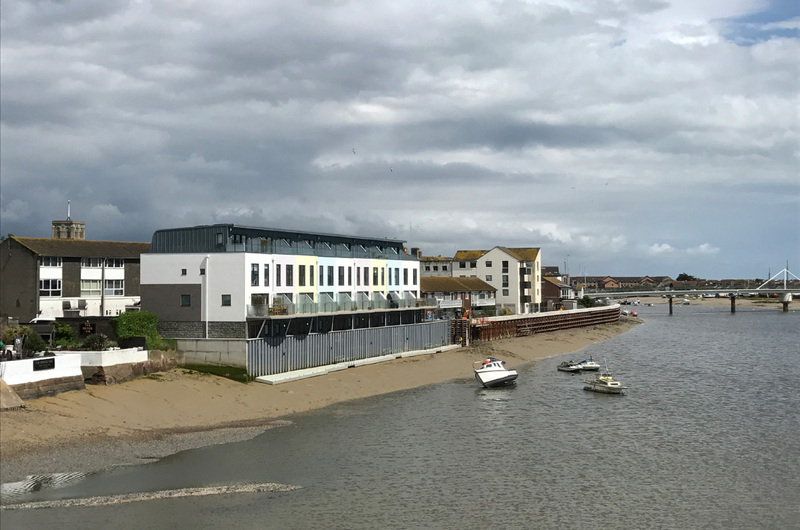 Conversion of a 1970’s, concrete framed, office building into eight luxury, riverside town-houses which maximise their stunning riverside location. 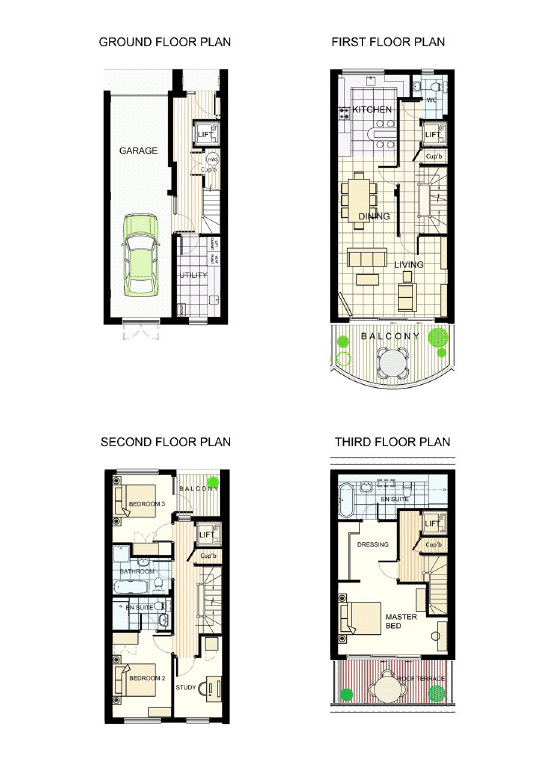 The development also includes the addition of a ninth property at the end of the block as well as a modest, two storey office building. 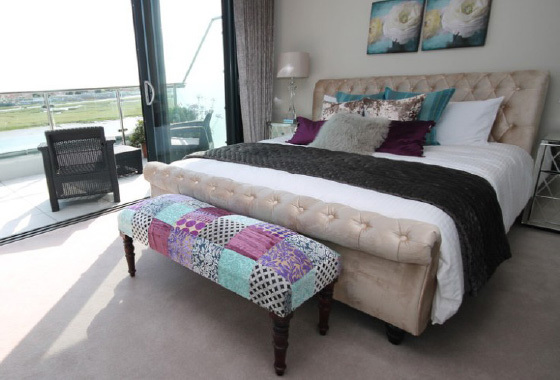 The colourful elevation design is a modern twist on traditional beach huts found in Shoreham and nearby Brighton. 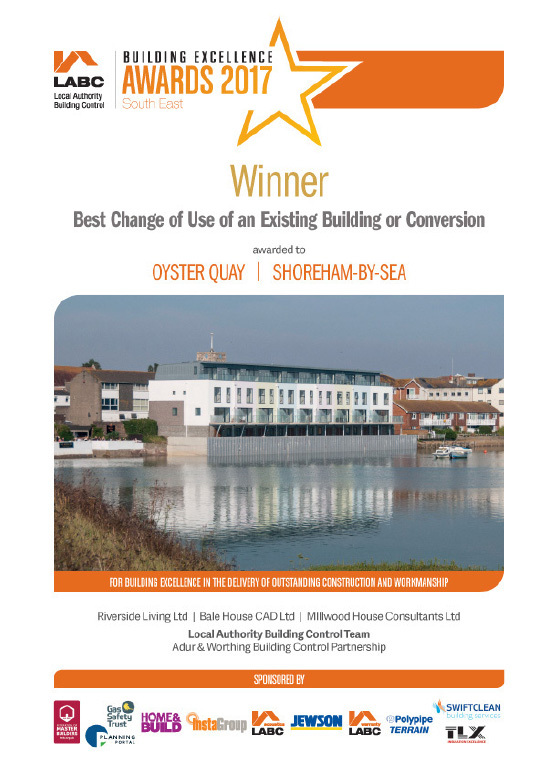 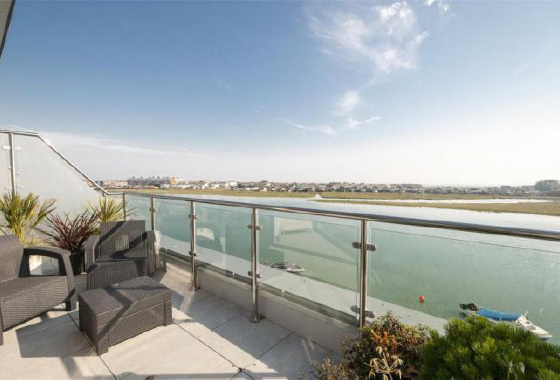 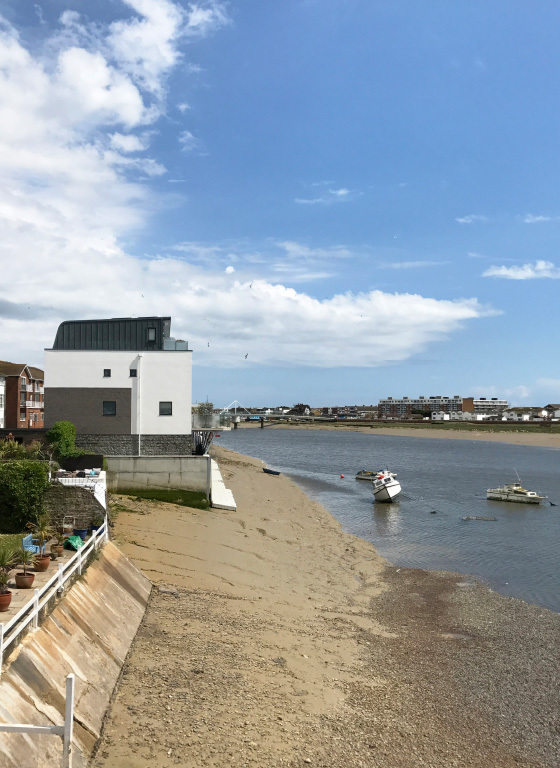 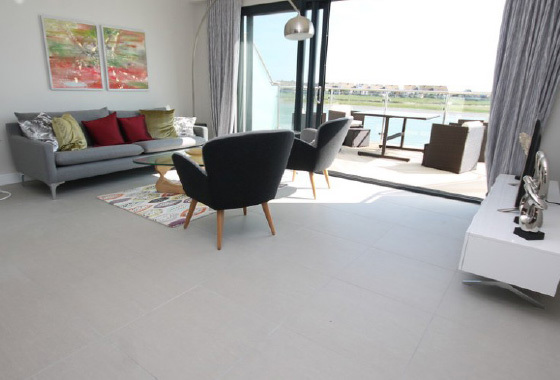 The site is on the River Adur in an up and coming area of Shoreham-by-Sea and the houses have been designed to allow for potential flooding. 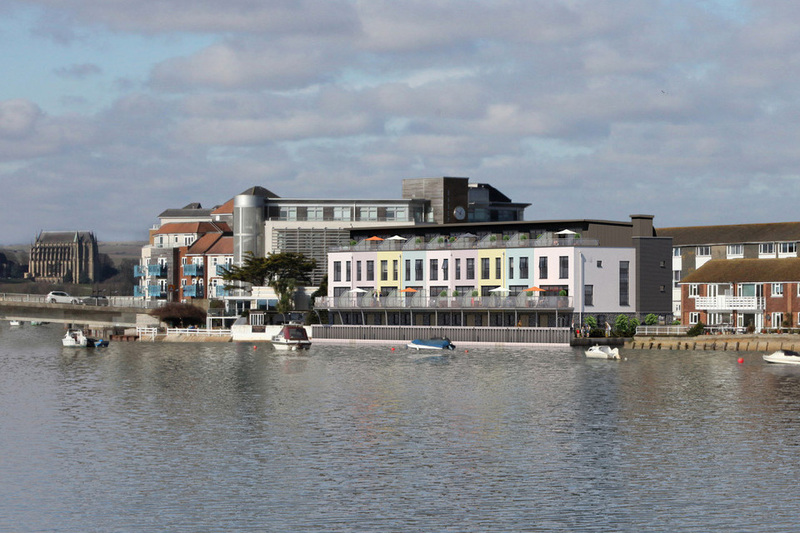 A future riverside walk planned by the Local Council has also been incorporated in the design.